I have a long list of "real rooms" to share with you all this and next week. 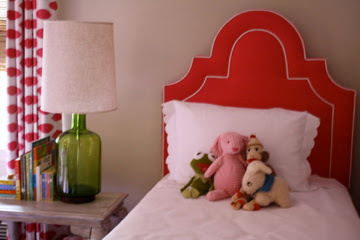 This adorable nursery was sent to me by an old sorority sister who now lives in Charlotte. Her vision of the room was to create something bright and visually stimulating which could easily transition into a "big girl room". I think she succeeded in creating a wonderful space! 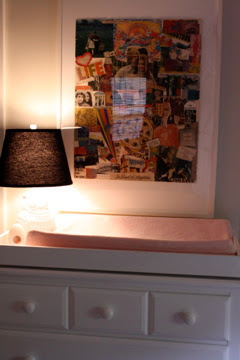 The poster collage over the changing table. My mom made it in junior high! It has a great vintage feel. 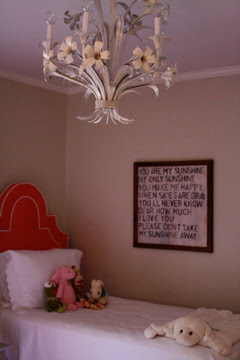 I used a few other vintage finds in the room as well such as the lamp, table and chandelier. What was the first piece that your purchased for the room? I had the whole room planned out before I bought anything, but I think the first purchase I made was the rug, I love the bold black and white stripes, and it was a great price. I found it at Ikea. 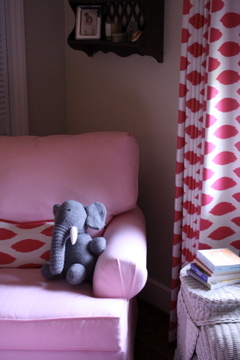 I love the bright colors - the pink and white curtains are so fun, and my daughter loves looking at them. 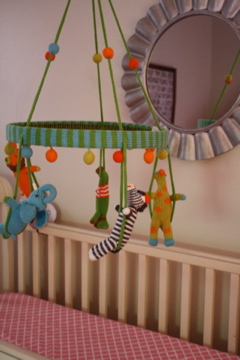 I also love that the room will be so easy to transition from a nursery to a big girl room. I just hope she likes pink! I need more storage! 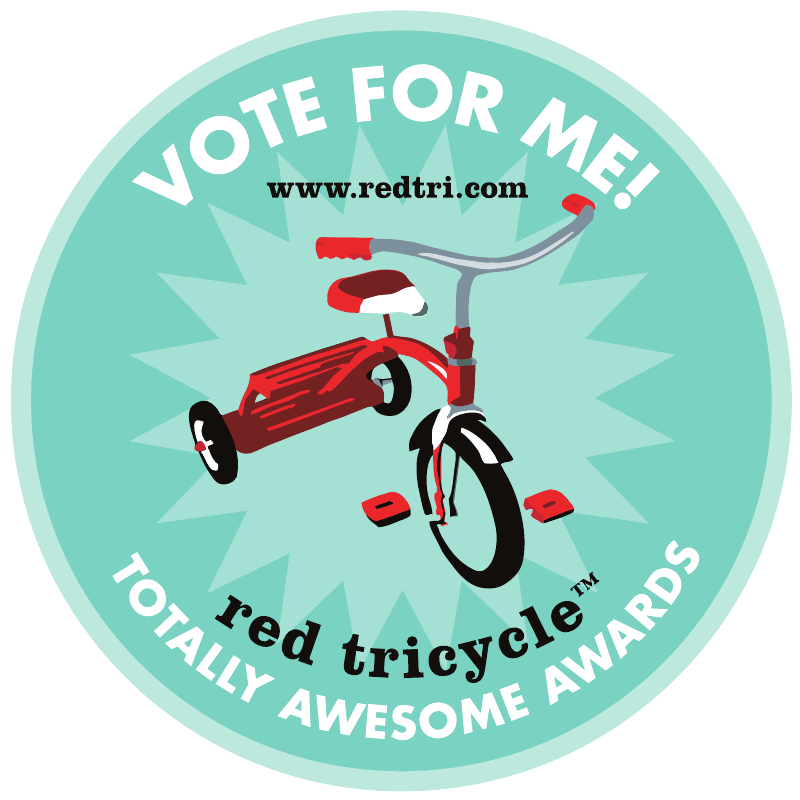 (But who doesn't?!). I'd like to find some way to fit a shelf with some storage baskets for toys and books. 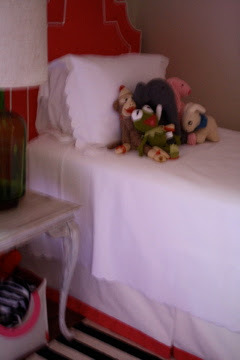 Thank you again Lauren for sharing your daughter's beautiful room! lots of cute ideas! thanks for sharing! I'm in love .... so creative! I LOVE the stripped rug! Might have to head to Ikea.